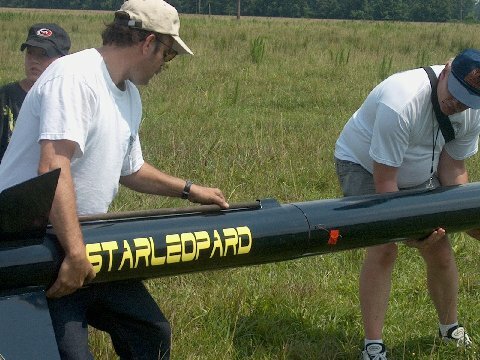 Star Leopard started life as a 7.5 inch standard ARM. Believe it or not, not a single part of that kit is still flying. 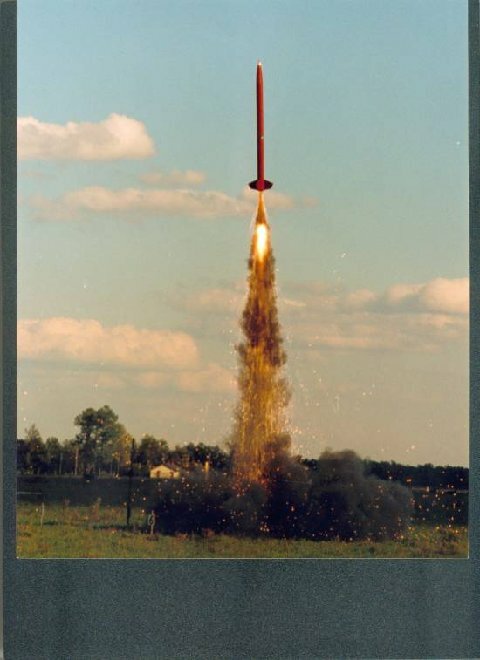 The liftoff picture at the top of this page is on a prototype, "Kosdon East M2000 skidmark" this was before it was certified as the M2200, and before Kosdon East became Animal Motor Works. 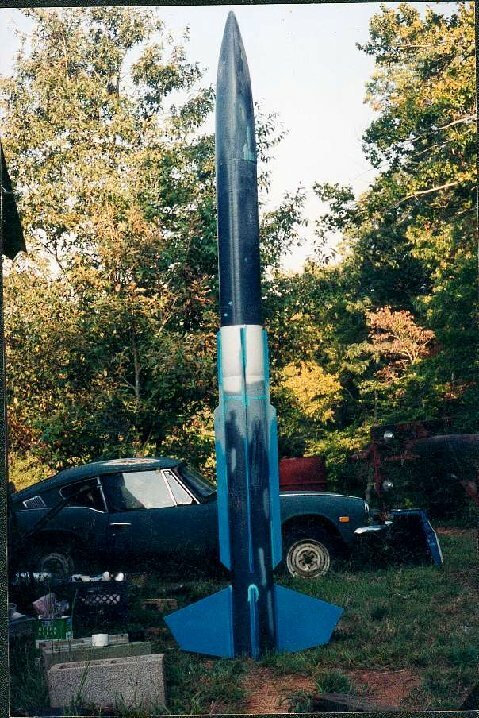 Starleopard has been rebuilt at least 5 times and is now completely fiberglass, with a completely G12 booster section, and the rest being G10. 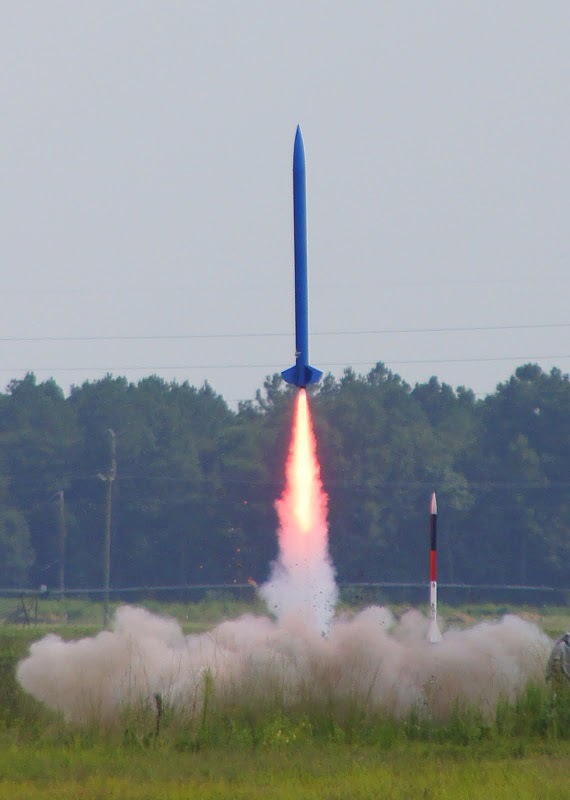 The rocket has flown 15-20 times since it was first flown in 2000, and has been on all M motors, or equivalent impulse. 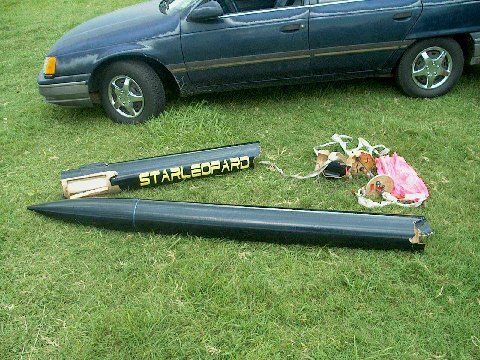 Starleopard started life as a 7.5" diameter Standard ARM. 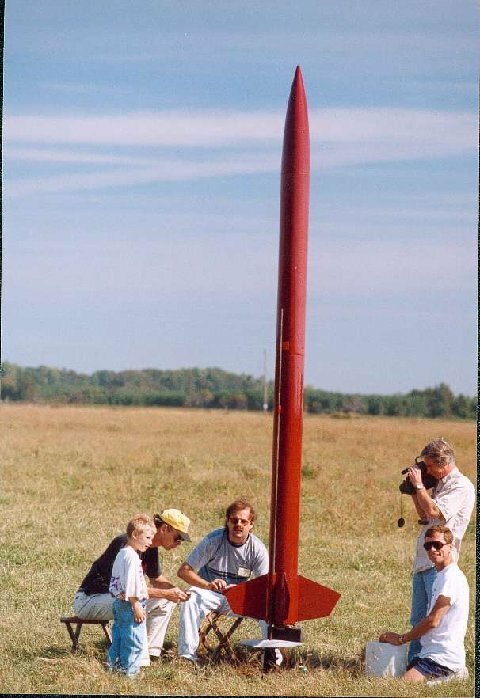 It eventually lost the strakes and gained some length, to become the easily recognizable rocket it is now! 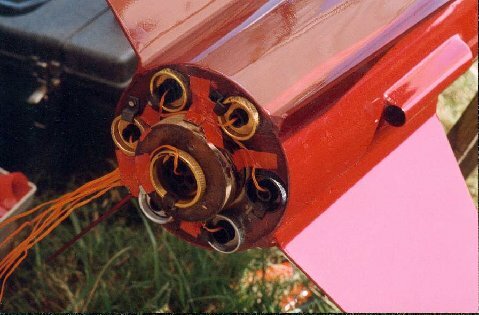 Unfortunately, the motor was too much for the rocket's thin G10 fins. 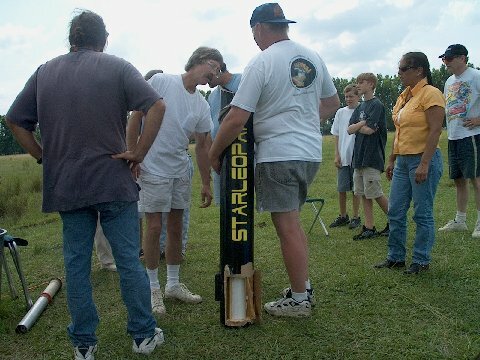 Starleopard boosts on a 98mm research motor. 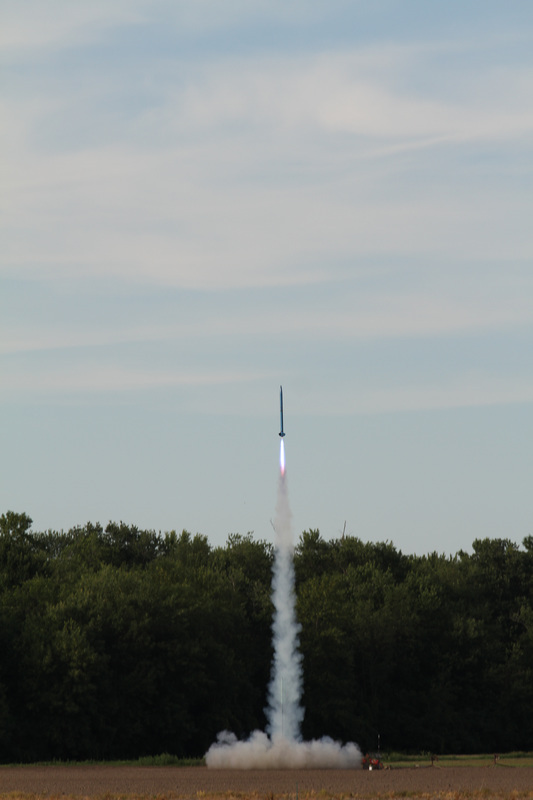 This was Jim's highest flight with this rocket. Unfortunately, Jim's altimeters seem to have failed, no parachutes were deployed, and Starleopard tumbled in. 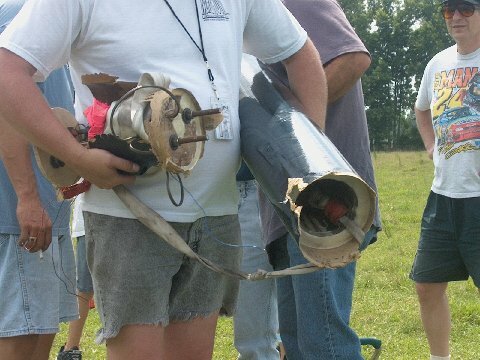 Upon impact, three of the four 1/4 G10 fins popped loose, and the airframe around the fin slots was ripped up. 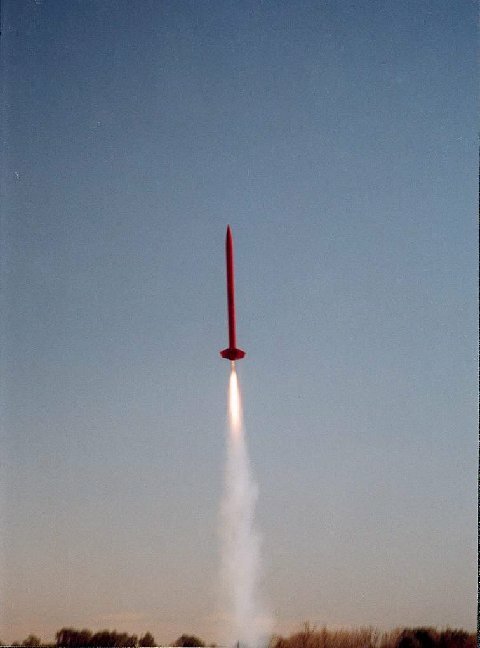 Starleopard boosts on a Loki M3464 Blue to an altitude of 6,300 feet. A new record for this beast!